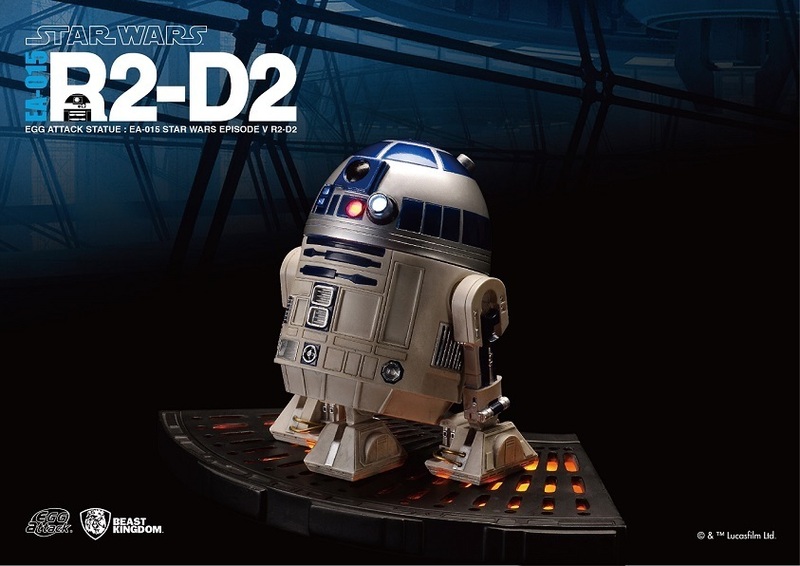 Anaheim, CA – Bluefin, the leading North American distributor of toys, collectibles, and hobby merchandise from Japan, Hong Kong and more, expands its line of Star Wars products with the release this month of the Egg Attack Star Wars series EA-015 R2-D2 statue and EA-016 C-3PO statue from Beast Kingdom. The statues are the latest to join Beast Kingdom’s line of officially licensed, collectible Egg Attack Star Wars figures that are available now from authorized Bluefin retailers nationwide and also from a variety of leading online outlets. 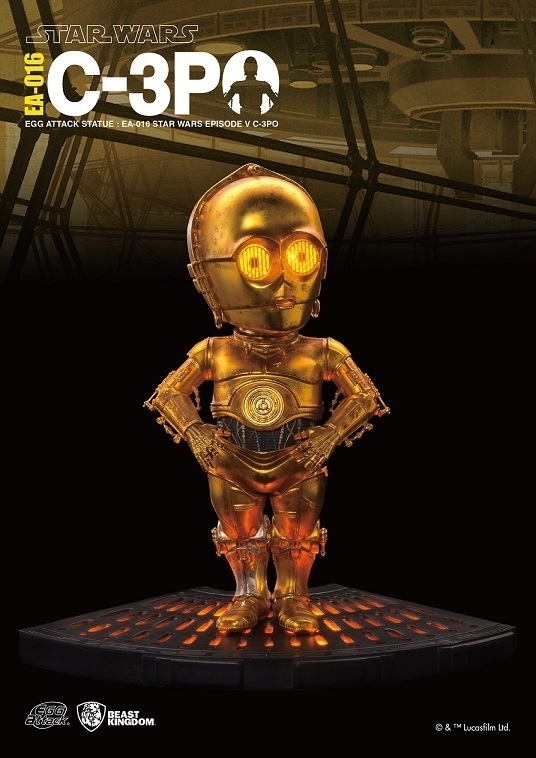 The Egg Attack statues present extremely high quality, super-deformed renditions of several legendary characters from the Star Wars film franchise and can accent an ardent fan’s existing display or become the unique centerpieces of any collection. Based in Anaheim, CA, Bluefin built its reputation as a leading distributor of Japanese toys, collectibles, novelty and hobby products. In recent years, Bluefin has grown to include a range of high quality collectible lines from the United States, Hong Kong, Taiwan and Singapore and established itself as the official North American consumer products and retail development partner for Studio Ghibli. Selling to thousands of specialty, chain and independent stores, Bluefin is an official North American distributor for Bandai Hobby, Kotobukiya and Capcom, is the sole provider of Bandai Tamashii Nations products, and is also the exclusive and official distributor for Hero Cross, Beast Kingdom, Comicave, Mr. Hobby, SEN-TI-NEL and X-Plus. Bluefin also represents TruForce Collectibles products worldwide. Additional information is available at: www.bluefincorp.com.